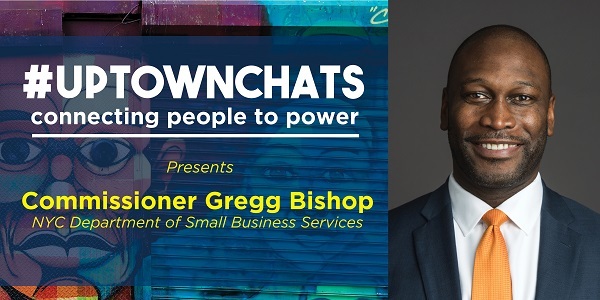 JOIN WE ACT AND COMMISSIONER BISHOP AT UPTOWNCHATS ON MAY 15! This is the first installment in the second annual UptownChats event series designed to connect people to power in Northern Manhattan. Commissioner Bishop will speak and answer questions about current initiatives at the Department of Small Business Services that help unlock New Yorkers’ economic potential and create economic security, particularly those that impact Northern Manhattan residents and businesses. RSVP here! Please reach out to doss@weact.org.